Recently, we introduced the Inspiration collection to clients, partner agencies, agents and to you. The interest has been high and the feedback positive. And so let’s give thanks where thanks are due; to the creators of the images in Inspiration, to you, the age fotostock photographers. Without your ideas, creativity and technique, we wouldn’t have the material to create Inspiration. This sounds very, very interesting! I think this is a good idea to communicate images to customers like this. Would it be an idea to inform photographers somehow which of their images were selected for inspiration? It might cause these photographers, like me, to make more of these, premium quality photographs? Stimulate their learning curve, so to say?! And that question is the perfect introduction to today’s post, the Photographers’ Profiles. The answer is yes, we do share this information with photographers. You can see which of your images have been tagged for Inspiration (along with other cool stuff) in your Photographer’s profile. We have had these public profiles in the works for a few months now, holding off on an official announcement until we could work out some of the bugs of our “beta” version. There might still be a bug or two left, but we feel that the profiles are ready to roll, and many of you have already created one. Last week we started sharing a Photographer Profile of the Week via twitter, and we plan to continue sharing the profiles that have been filled in by our photographers. The profile shows statistics on photographer activity at age fotostock, sales/viewed images activity, and also allows a photographer to present him/herself with a self portrait, a bio, “About Me,” and a selection of up to 20 images of the photographer’s choice. You can find your profile on the website by clicking the link that appears beside the images in the age fotostock, Pixtal and easyFotostock collections. You can enter your bio and other information and opt to hide certain information by accessing the Profile section within the Photographer’s Corner. The images shown in Editor’s Choice are the images which have been marked for the Inspiration collection or else were at one time (past or present) shown on the New Images section of the website. 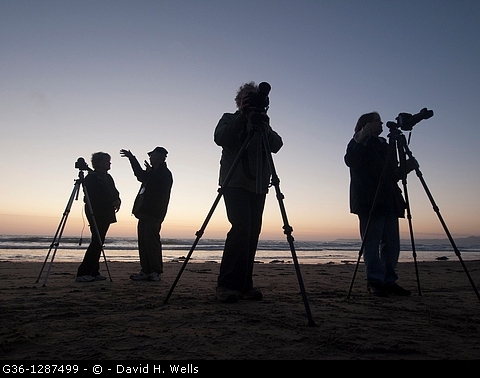 Why we ♥ photographer’s profiles? It gives age fotostock clients and agents interesting background on the creators of the images that they are buying. 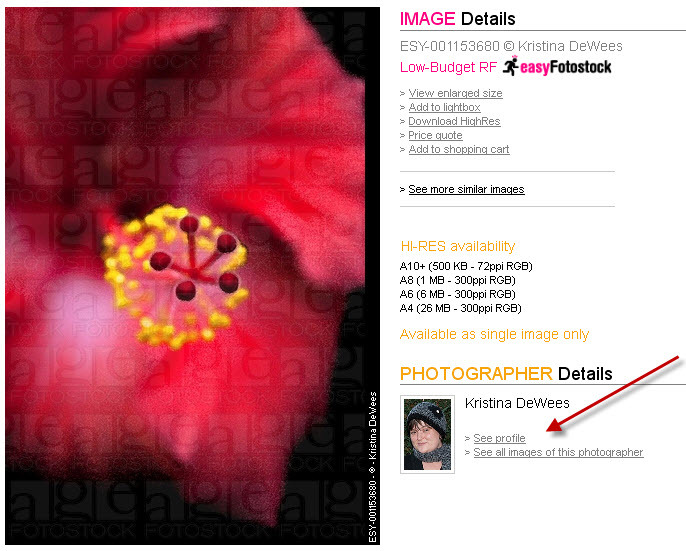 Clients will be able to find your profile by clicking “See profile” beside any one of your amplified photos, as shown in the screen capture below of Kristina DeWees’ image of a hibiscus. We get to know you better! It’s another way to search out and show the best work that our photographers are doing. Promoting you helps us promote ourselves. It’s a great reason to tweet! Why should you ♥ your profile? You get to talk about yourself. There is a lot of valuable information on the popularity and sales statistics of your images that can enable you to make a deeper analysis of what is working for you and what isn’t. It’s another way to promote your work through Facebook and elsewhere. Get your friends to “like” away. If you don´t have a website (from this decade) you could even use this link to present yourself to potential clients by preparing a custom selection of relevant images in Photographer’s Choice and filling in the requested bio info. The profile sets your images apart from the images of our image providers since it is only available to age fotostock, Pixtal and easyFotostock photographers (with at least 50 photos online). Obviously these profiles are the best thing since sliced bread! What are you waiting for? Go to the Photographer’s Corner and get to work! agefotostock is an independent photo agency with offices in New York, Paris, Barcelona and Madrid. The core of its business is the licensing of reproduction rights for Royalty Free, Low Budget Royalty Free and Rights Managed images, videos and vectors.